And we now have some simple graph in PHP. 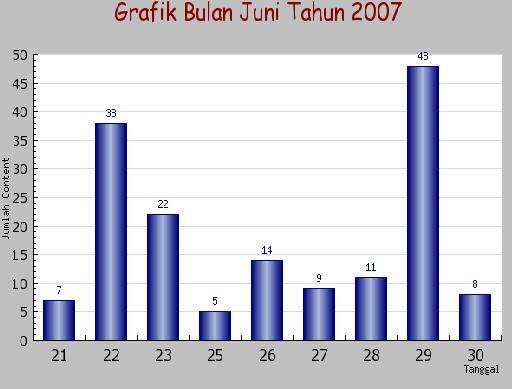 But we also make some graph using jpgraph. You can download the newest version here http://www.aditus.nu/jpgraph/jpdownload.php but we have to use PHP 5.1.0 version. There’s a lot kind of graph we can make, now I just explain to you how to make graph use data from the table. And we just running this script in our apache,, and what’s look like? ?